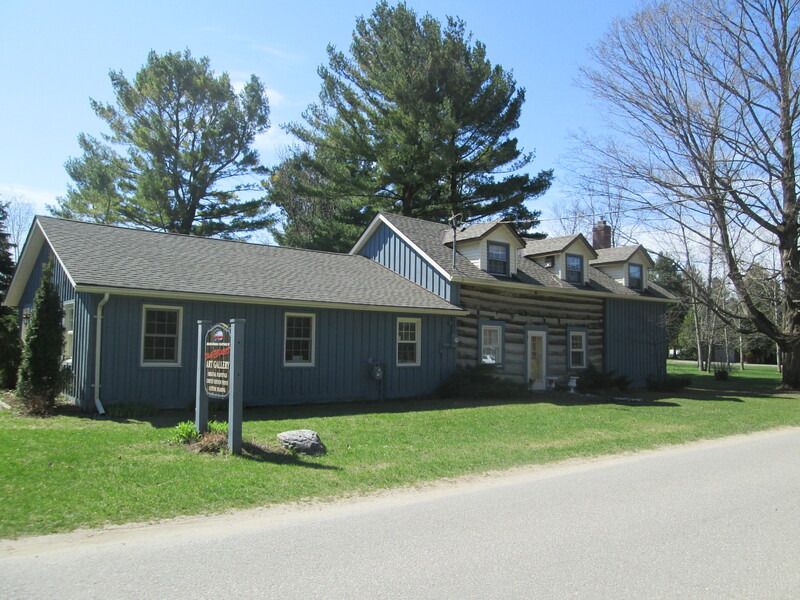 Black Creek Pioneer Village is built around the homestead of Daniel and Elizabeth Stong. Their story and a brief history of the village can be found in this earlier post. Once the decision had been made to collect historic buildings to allow people to glimpse the life the settlers lived it was time to identify potential buildings to put in the village. Since most pioneer villages were founded around a saw mill, grist mill or woollen mill it was necessary to move a mill to the site at Steeles Avenue and Jane Street. Owen Roblin took possession of a land grant not too far from Trenton that included a lake that came to be known as Roblin’s Lake. Owen blasted a head race from the lake to a point where he could create a 75 foot head of water to turn his 30-foot overshot water wheel. He divided part of his property to create town lots which were the beginning of the town of Roblin’s Mills. He added a sawmill and carding mill and the town attracted blacksmiths, a harness maker hotels and a general store. Today the town is known as Ameliasburgh. The picture below shows the mill around the time it closed. The building in the foreground is the carding mill and the water wheel is between the two buildings. The head race runs under the road. 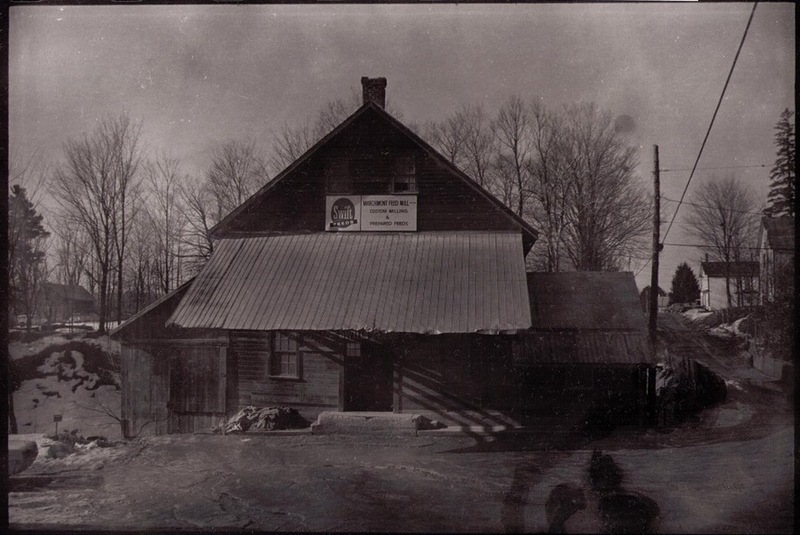 The building in the background with the sloping roof is the File Brothers General Store which closed in 1951. During the peak period around the time of the American Civil War, the mill was producing up to 100 barrels of flour per day. Most of this was shipped to the northern states where it supported the army. The mill was closed in 1920 and sat abandoned until 1965 when it was decided to demolish it. The Toronto Region Conservation Authority (TRCA) was looking for a mill for Black Creek Pioneer Village and decided to purchase Roblin’s Mill and relocate it to the village. 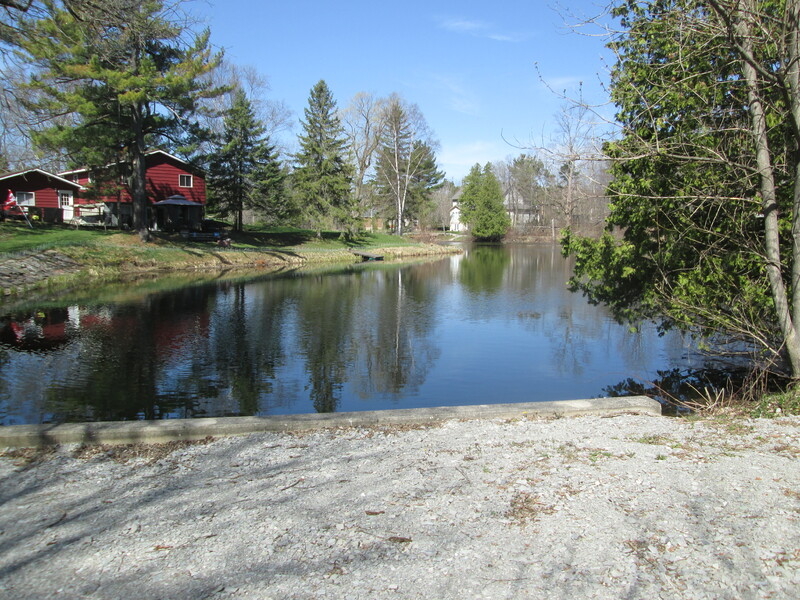 A mill pond was created at the village using Black Creek as a source of water. There is a second mill pond behind the mill where the water goes after it flows over the water wheel. This picture shows the upper pond and the entrance to the headrace which also flows under the road. The five-story stone mill was built in 1842 and soon became the focus of the community and included a post office. 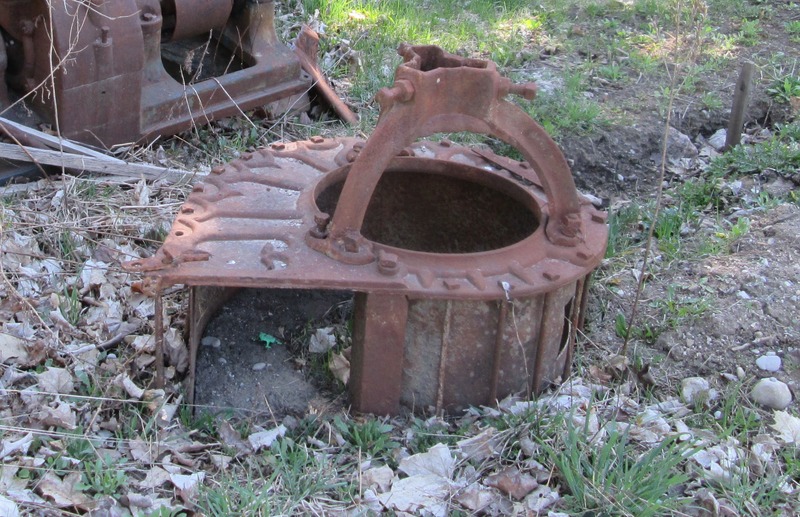 As a commercial mill, it operated 24 hours per day with three run of stones. The picture below and the cover shot show the open wooden flue that carries the water to the wheel. Inside, large wooden gears turned by the water wheel drove the three mill stones. Millstones relied on fine grooves that had to be dressed at least once a month when the mill was running 24 hours per day. Samples of grain and flour were moved from one floor to the other using these belts and cups. The ground flour was stored in dry barrels that were produced next door in the cooperage. A dry barrel was less precise than ones known as wet barrels which were used for liquids such as whiskey. 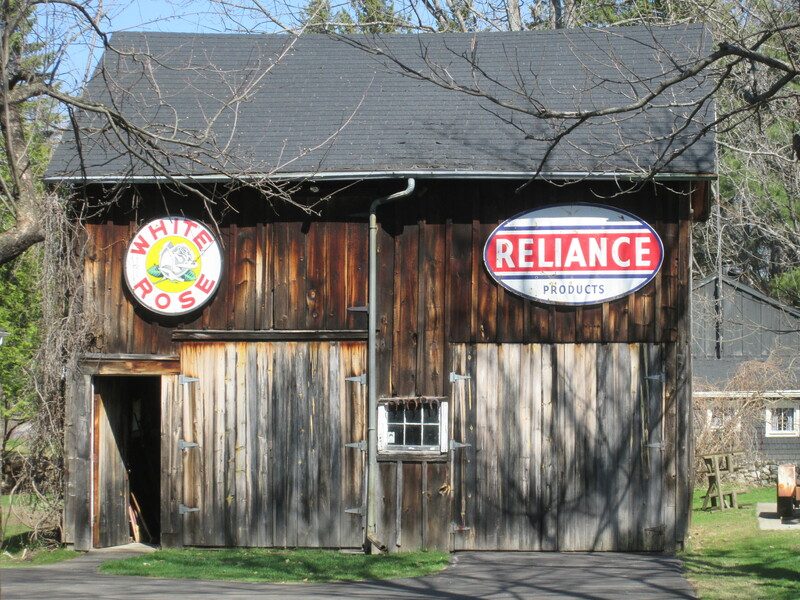 Black Creek has added the cooperage of John Taylor to their collection of buildings. 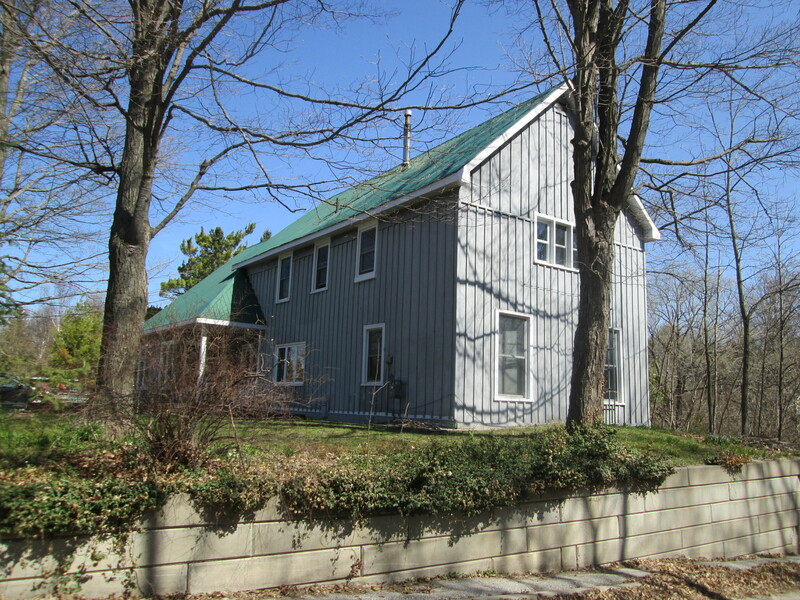 The building dates to the 1850’s and was moved to Black Creek Pioneer Village in 1976. It wasn’t restored or opened until 1988. Coopers often located next to mill complexes so that there was a ready market for their wares. Inside John Taylor’s Cooperage, you can see several types of barrels that were produced in the shop when it was located in Paris, Ontario. We close with an archive picture of the mill before it was moved to the village. I have yet to see the mill in operation although I have purchased a bag of flour that was milled there. This entry was posted in Black Creek, Uncategorized and tagged Ameliasburgh, Black Creek Pioneer Village, Grist mill, Roblin's Mill, Taylor's Cooperage on November 18, 2017 by hikingthegta. It was 18 degrees with just occasional clouds. I had the occasion to meet my parents and an older brother in Orillia for breakfast. West of Orillia is the village of Marchmont, named after the Earl of Marchmont. It grew up as a small farming community where the mill served initially to grind grain then primarily as a feed mill preparing food for local farmers for their livestock. Other local industries such as the blacksmith also served the needs of the farmers in the adjacent land grants. Some records indicate a government operated mill here as early as 1834 built to provide employment for local natives. This didn’t work as expected and by 1843 the mill was sold into private hands. 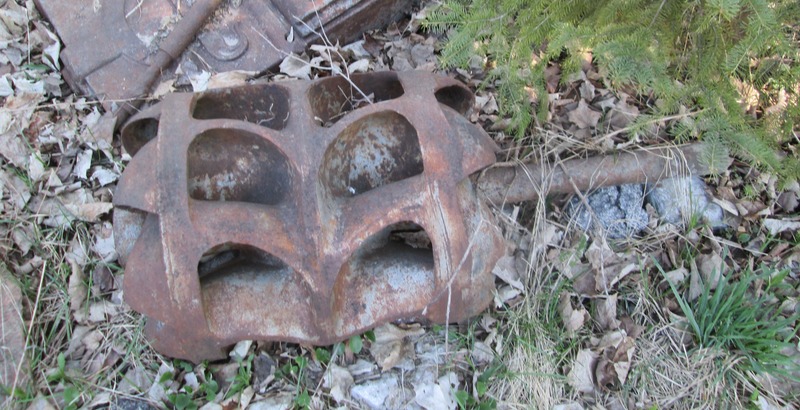 When the original mill burned in1884 the town went without one for about three years. 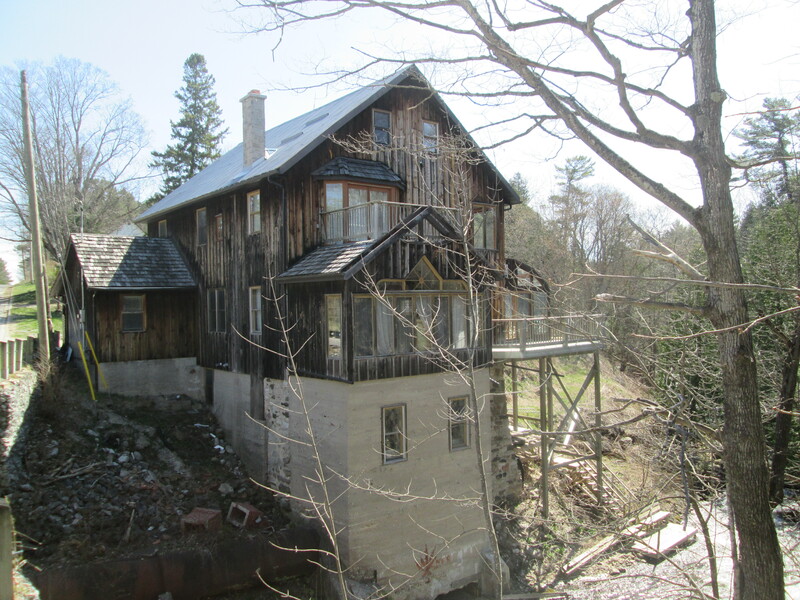 A new mill was built in 1887 by Charles Powley who installed two runs of mill stones. He used one for grinding flour and one for making livestock feed for the local farmers. In 1947 it was converted to a full time feed mill and the flour rollers were removed. The mill records indicate 13 different people operated the mill until it closed for good in 1987. It has been used as a private residence since 1989. 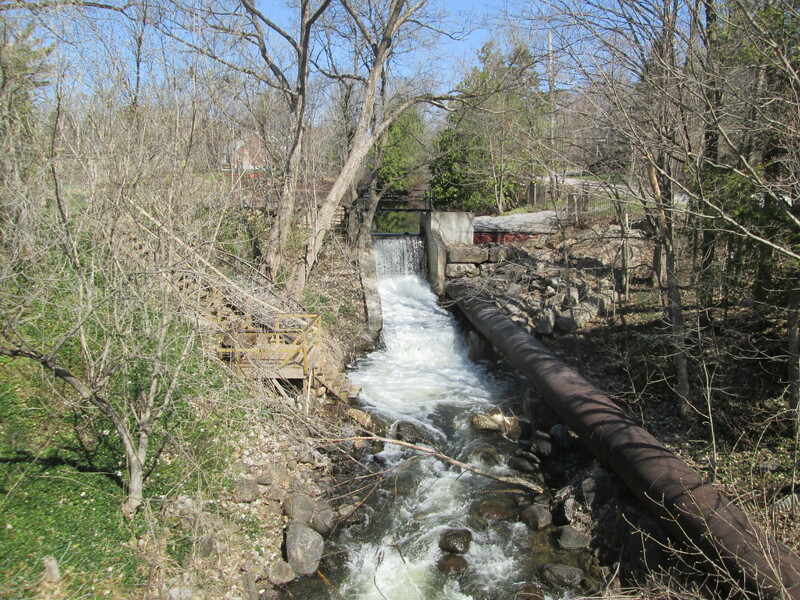 In the picture below the dam on the North River creates the beautiful Marchmont mill pond. The residents used the pond for swimming in the summer and skating in the winter. Water flows out of the mill pond and over the dam to maintain the water level in the mill pond. When the mill was in operation water was allowed out of the pond and through a flume to the water wheel. The original wooden flume was replaced in 1910 with the present metal one which is four feet in diameter. It runs under Marchmont Road and into the mill. Before the mill was closed the aging pipe had sprouted many leaks. In the winter natural ice sculptures 15 feel high would be created around the leaks. The Marchmont Grist Mill as it appears today in service as a home. The mill is featured in the cover photo as it appeared in the early 1900’s. The flume is seen entering the side of the mill a few feet above the river level. At first there was a large water wheel here which was later replaced with the more efficient turbines. The water was returned to the river through the chute at the bottom. The spiral casing for the turbine was connected to the end of the flume. Water is forced into the spiral casing spinning the turbine blades. The spinning turbine blades power a system of drive shafts, belts and pulleys inside the mill. A chute would be opened with a hand cranked wheel to allow water to flow into a chamber about 30 feet below the lower floor of the mill. When running at full speed the turbine could produce 75 horse power. Corn was brought in by the wagon load, and later on trucks, to be prepared as food for livestock. It would be dumped into a slot on the floor just inside the door where it would drop into a bin below. Customers brought grains for processing or came to purchase products such as Swift’s Dairy Feed that was produced on site. In this archival photo we see the front side of the mill where customers would have entered. In the background we can see the Baptist Church and then the Blacksmith’s house. Marchmont Baptist church celebrated it’s 127th Anniversary this past weekend. It’s formation dates back to 1877 when church meetings were held in people’s homes. Jacob Powley owned a town lot just to the west of the mill pond. He sold it for $1.00 for the purpose of erecting a church. In October 1888 thrity-one members of Orillia Baptist Church formed the new congregation that came to be known as Marchmont Baptist Church. In 1923 the church numbered 61 and had outgrown the building. The abandoned Gospel Hall was purchased and moved as an addition to the back of the church. In 1962 a new church lot was acquired in trade for the old lot and building. The cemetery in town belongs to the Baptist Church but is dated to 1832. This contains the earliest settlers and came under the care of the Baptist church at a later date. The old church building is gone but the owner of the house pictured below has added a considerable history of the place in the comments at the end of this post. Across the lane from the old church building stands the former blacksmith shop and an 1860 home from it’s former owner. 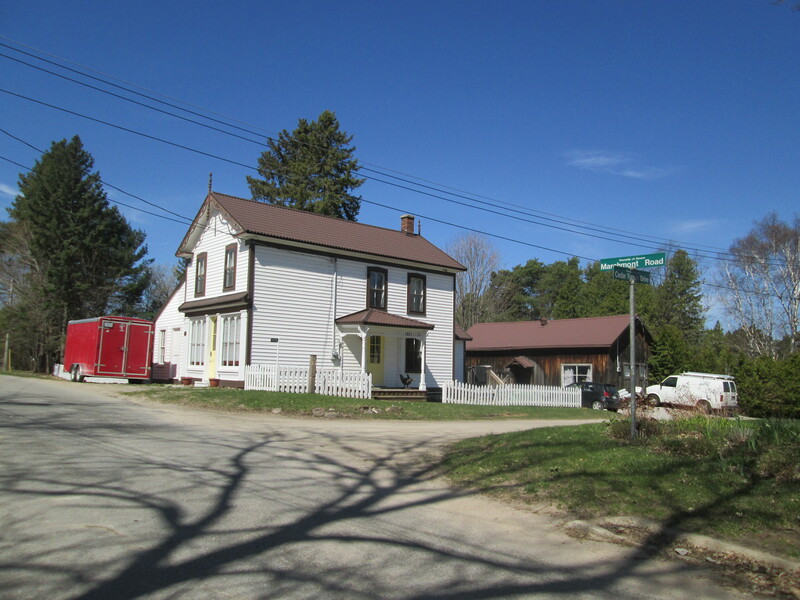 Built of local logs in the 1840’s, this house is the oldest one in Marchmont and one of the oldest on it’s original site in Ontario. It is currently in use as an artist’s studio. This old board and batten building has the appearance of being an old garage. The White Rose sign contains the logo for a Canadian motor oil company with roots to the early 1900’s. By the 1920’s they were opening up stations to serve the growing need for gas for cars. 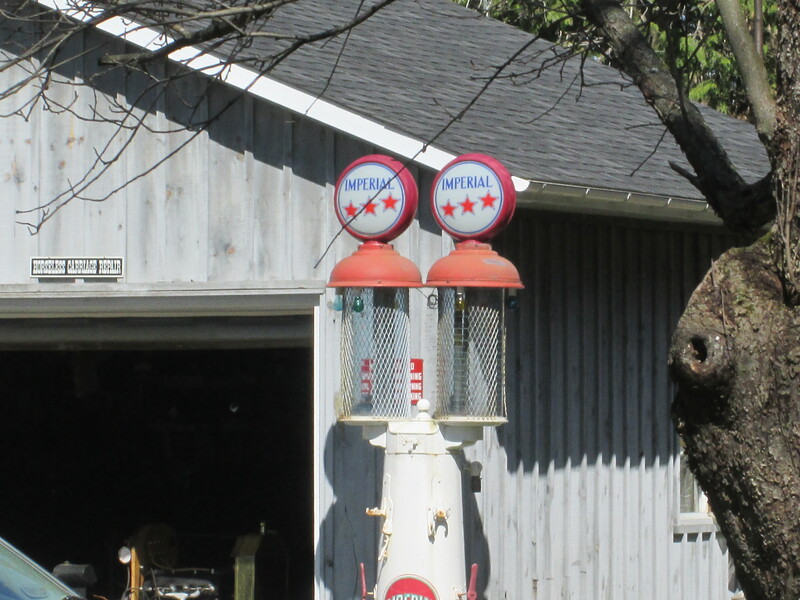 Old gas pumps stand beside the old garage. Imperial Oil is Canada’s second biggest oil company, operating under the brand name Esso. 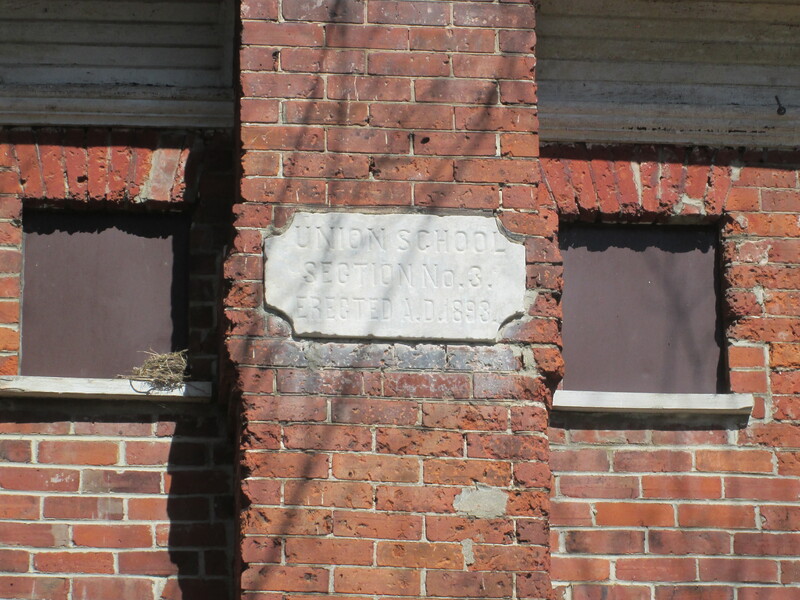 Built in 1898 the old union school building has also been converted into a residence. It was nice to get out of town and see an historic community that hasn’t been surrounded by development. It should take the GTA a few more years before it expands to the point that high rises are needed in Marchmont. 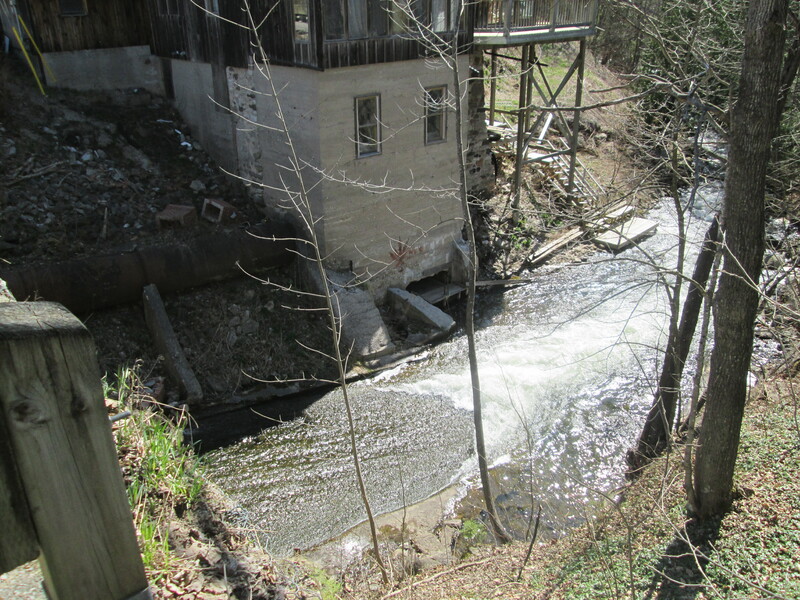 This entry was posted in Mills and tagged Grist mill, Marchmont on May 4, 2015 by hikingthegta.